Starting on November 1st, 2017, the Nicholas County Sheriff’s Department decided that they were going to do #NoShaveForTheBrave to raise money for the Children’s Advocacy Center. 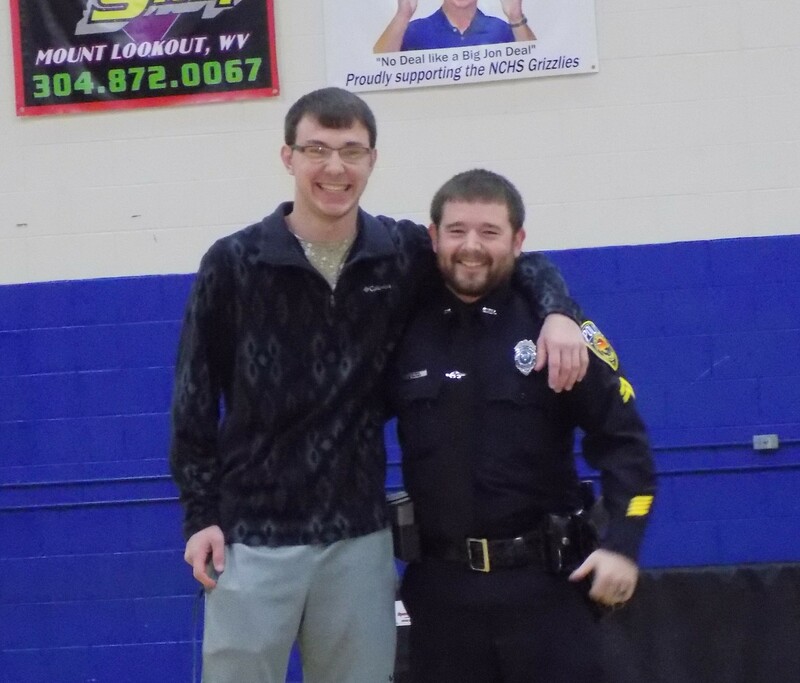 Officer Pat Whitney is the Pro-Officer at NCHS. To continue No Shave for The Brave, and because the students loved the cause, OFficer Whitney decided to do a random raffle drawing to raise money for needy families for Christmas. Whoever had the winning ticket got the honor of shaving Whitney’s beard on Friday, December 8th. Raffle tickets sales started on Monday, December 4th, and they cost a dollar each. On December 8th, when Whitney walked into the gym during second breakfast, the kids were sitting in the bleachers ready for the drawing of the raffle ticket. Leafie Keiffer drew the ticket, and the winning number belonged to Devin Hamrick. While playing the song, “We’re Not Gonna Take It,” Devin shaved Whitney’s beard off with a pair of clippers. Students were laughing, and afterwards First Sergeant Harvey shaved most of Whitney’s head. It was quite a fun experience for the students, and it was for an amazing cause. Whitney has raised $888 so far for the Children’s Advocacy Center.